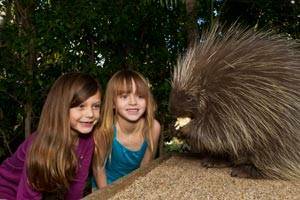 San Diego Zoo Celebrates Kids Free in October! San Diego truly is a great city to be in if you are a kid! There are so many wonderful attractions and educational programs to engage in and so many different ways to enjoy them. Great weather and tons of local attractions means that the possibilities are endless.Take a trip to San Diego and enjoy the sun with us, you can still book a San Diego vacation with peace of mind. One of the biggest and most popular attractions is, of course, the San Diego Zoo. The San Diego Zoo has lead so many educational attractions such as the Keeper Talks and Cheetah run. 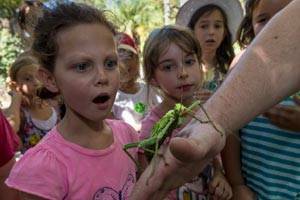 We are continually impressed with the San Diego Zoo's dedication to connecting kids with nature! The Zoo's newest attraction is none other than Robert the Zebra which will be accessible hourly starting at 11am until 3pm. Best yet? During the month of October your little ones can come see the all the amazing attractions for free! Kids Free Month is presented by Mission Fed and has been a tradition at the San Diego Zoo for years. So, the question is - What is Kids Free Month and What Does it Entail? What: Kids Free Month allows anyone 11 and under into the park for free, as long as they are accompanied by a paid adult. When: October 1st through October 31st, 2016. The San Diego Zoo and Safari park hours are 9am to 6pm for the month of October..
Where: Both the San Diego Zoo and the Safari Park are participating! By taking advantage of the San Diego Zoo and Safari Park's participation in Kids Free October, your little ones can check out the Centennial Treasure Hunt by following clues on the special map and discover some of the San Diego Zoo's wildlife treasures. Of course all of the San Diego Zoo and Safari Park's usual exhibits are also covered with your kids' free admission, so get ready to have a wild time when you visit America's Finest City and its world famous San Diego Zoo. Kids can participate in the Camp Critters show at the Zoo, or "Race" a cheetah at the Safari Park. Don't forget to check out the Animal Encounters which usually run at least once or twice per day, depending on which enclosure you're visiting. Animal Encounters allow Zoo visitor's to meet an animal ambassador up close and personal - get ready for the best kind of close encounter! Kids can also enjoy some Beast Treats in various locations around the park. Watch as your kids engage with the animals and their special treats.